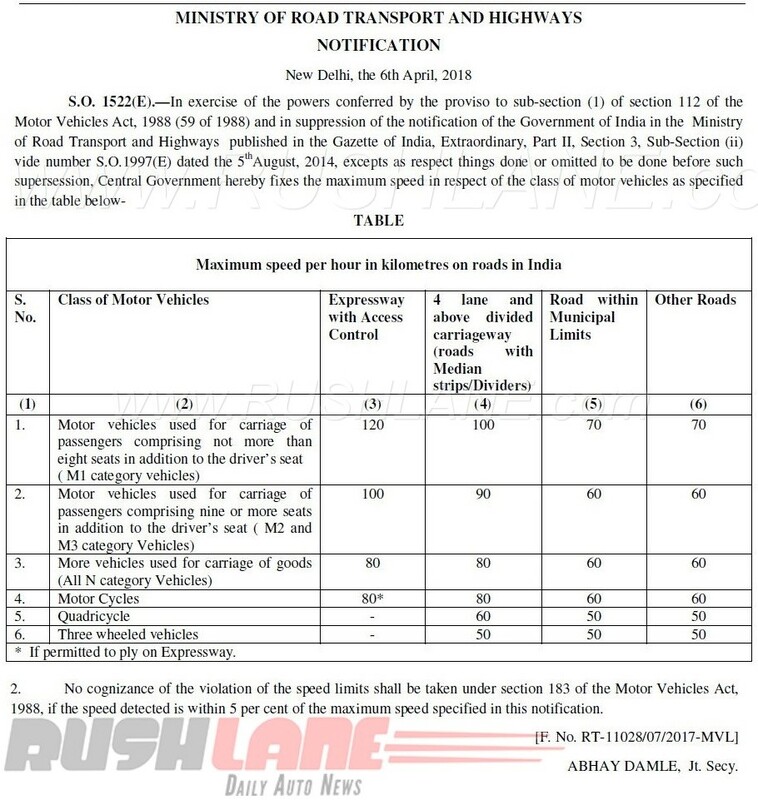 The recent revision of sub-section (1) of section 112 of the Motor Vehicles Act, 1988 (59 of 1988) caters to increase maximum speed permitted across vehicle classes on various road types across India. Decisions related to acceptable speed limits on major roads are often a result of other limitations. Allowing higher top speeds would mean we need cars that can safely be driven at higher speed and roads that are deemed apt for riding at certain speeds, thereby bringing focus to permitted maximum speed. passengers comprising not more than eight seats in addition to the driver’s seat (M1 category vehicles) can ply on an Expressway with Access Control at a max speed of 120 kmph. Speed is set at 100 kmph on a national highways – 4 lane and above divided carriageway (roads with Median strips/Dividers). The new ruling makes for a speed increase of 20 kmph for passenger cars on national highways and expressways. For Roads within Municipal Limits, and Other Roads, maximum speed is set at 70 kmph. Taxis too can go faster now – On expressways at 100 kmph, and on highways at 90 kmph, and at 70 on city streets. Two wheelers (motorcycles) can be ridden at 60kmph, up from the previous limit of 40 kmph on city streets, and at 80 on NHs, and if permitted on Expressways. Max speed parameters don’t override set speed limits when crossing ghats, turns, villages and other recognised areas wherein lower speed limits are mentioned at the stretch. Rickshaws and Quadricycles can sail by at 50 kmph. The new overall revisement takes Till now 50 kmph was the maximum speed limit on urban areas and there was no separate speed norm for expressways. 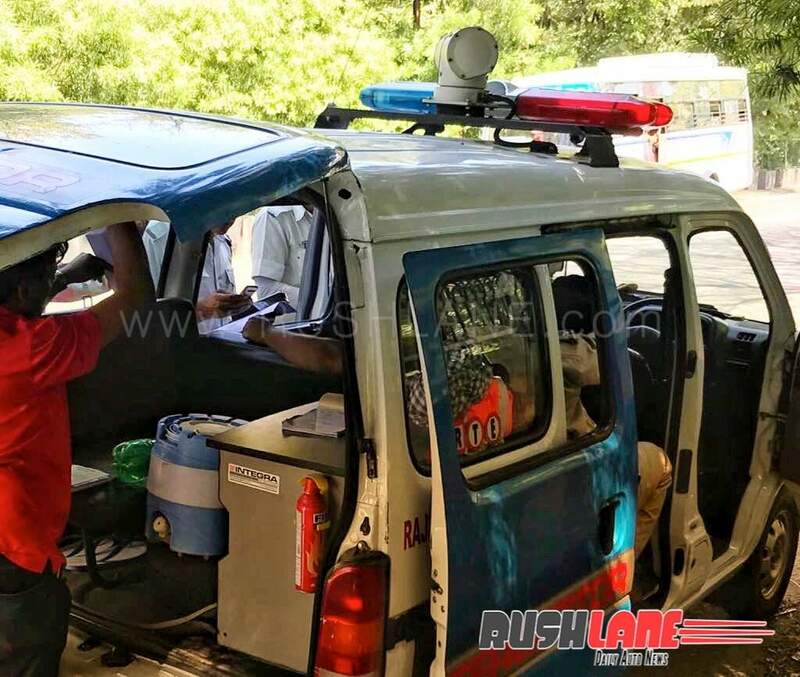 Special Note – No cognizance of the violation of the speed limits shall be taken under section 183 of the Motor Vehicles Act, 1988, if the speed detected is within 5 per cent of the maximum speed specified in this notification.